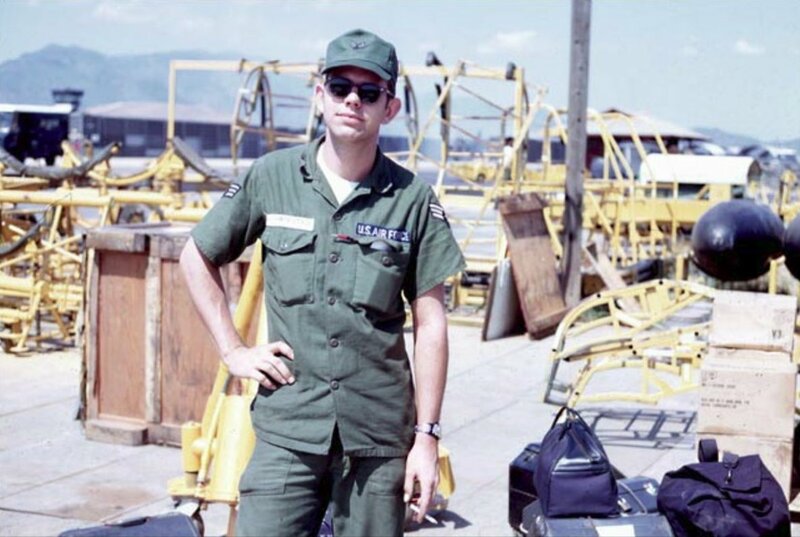 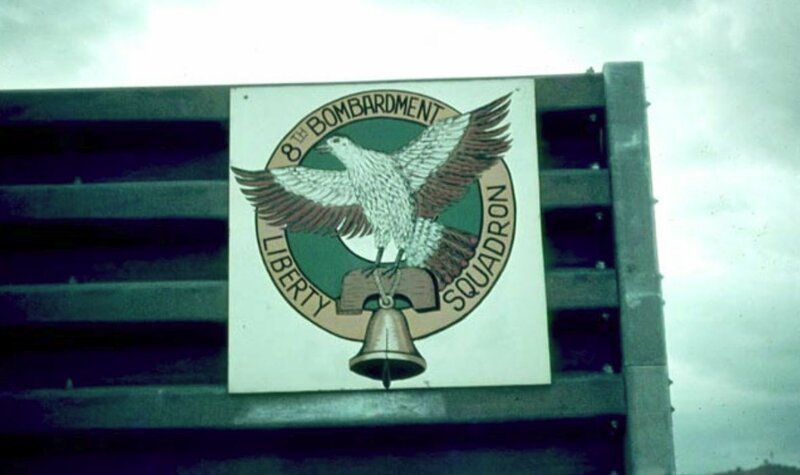 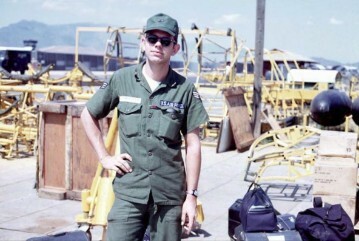 This section were flying combat in the southern reaches of Vietnam, Republic of, when photographed in the mid-60s. 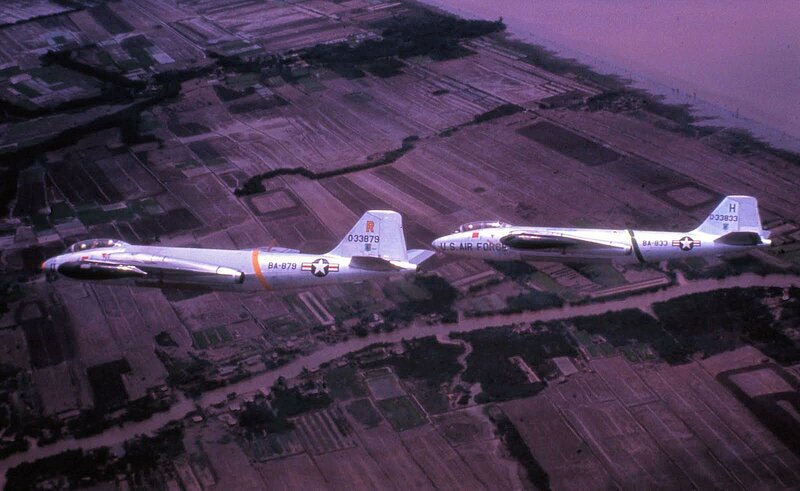 53-3879 was a B-model and survived the conflict to be scrapped out in 1969, but 53-3833 wasn't so fortunate. 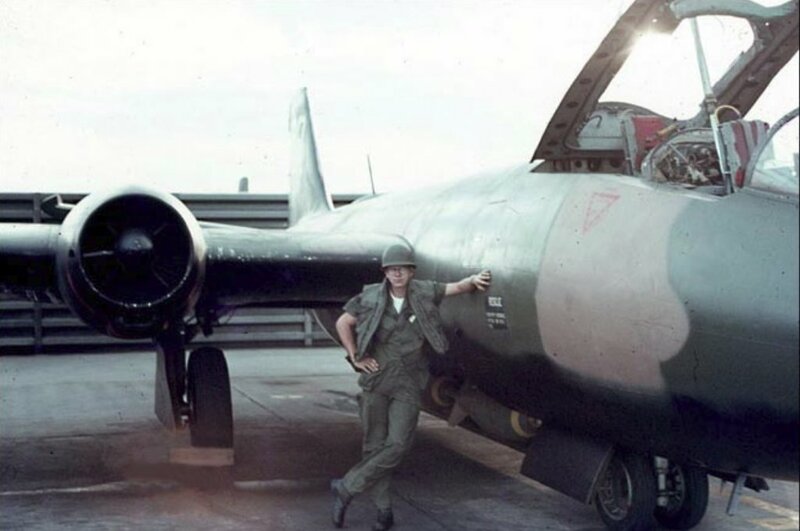 Built as a B-57C-MA, she was shot down on 17 April, 1966; both crewmembers survived ejection and were rescued. Both aircraft were with the 8th TBS/405th TFW when this photograph was taken.